Our bodies know how to heal. We’re born with that knowledge. Sometimes we just need help getting “unstuck” so the healing process can truly begin. 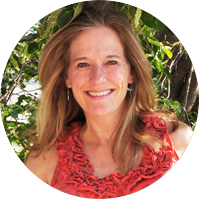 Working with Dr. Lisa Butler, you can activate your body’s innate power to heal. Board Certified in Family Practice and Osteopathic Manipulative Medicine, Dr. Butler integrates traditional Western medicine, alternative medicine, and osteopathic medicine to help you achieve optimal health. Learn more about what osteopathy treats and Dr. Butler’s integrative medicine approach. Even when someone seems very ill, more than 99% of the body is exhibiting health and balance. Our bodies are amazing masterpieces of perfectly orchestrated biochemical pathways, organs, genetics, hormones, and other factors working together to maintain health. Learn how Integrative Osteopathy can help you. Dr. Butler offers a free 20-minute meeting to discuss ways integrative osteopathy can improve your health.